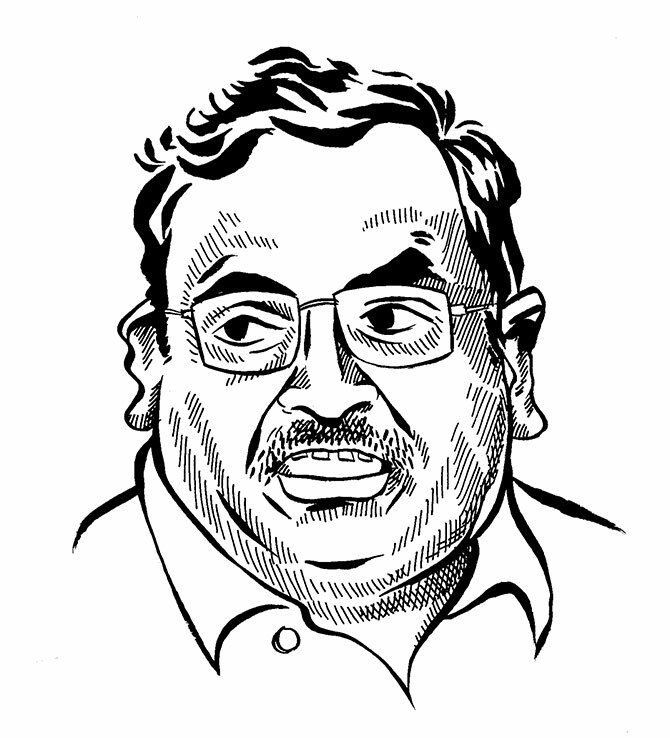 Rediff.com » News » Why was Saibaba denied bail? The Nagpur Bench of the Bombay high court on Monday rejected the bail application of Professor G N Saibaba, the Delhi University professor of English convicted under the Unlawful Activities (Prevention) Act (UAPA) in March 2017 on the charge of being a member of a banned organisation, the CPI (Maoist). The professor, who is 90% disabled, was a vocal critic of Operation Green Hunt, the policy initiated by the Manmohan Singh government at the Centre and the Raman Singh government in Chhattisgarh, which was aimed at eliminating Maoists from the forests of Bastar and getting the tribals there to give up their lands to corporates. Wheelchair-bound because of post-polio paralysis of the legs and suffering from a variety of ailments such as spinal pain, a weak heart and high blood pressure, Professor Saibaba has been serving his life sentence in Nagpur jail for the last two years. Earlier, as an undertrial, he had been in jail twice. Both times, his health deteriorated to such an extent that all his time out on bail -- granted by the Supreme Court -- was spent in and out of hospital. When he was convicted, he had just come out of the ICU and had been advised 10 days bed rest before a scheduled surgery to remove his gall bladder. Since then, Professor Saibaba's health has only gotten worse. In his letter, Professor Saibaba writes that the prison's chief medical officer in consultation with the doctors at the Government Medical College Hospital, decided to send him to three departments immediately: Cardiology, neurosurgery and neurology. But, as already recorded during his previous imprisonment in 2014, and again in 2018, adequate facilities for investigation were not available at the Government Medical College Hospital or even in its super speciality hospital. Yet, the doctors decided to send him for different therapies daily. It was not possible he writes, for him to avail of even minimum medical treatment for a number of reasons. He was not in a position to travel everyday nor could his family be present every day. The departments were not equipped to treat him and treated only out patients. They were ready to admit him only if he agreed to undergo surgery for removal of the gall bladder, and he was unwilling to trust the Government Medical College Hospital to conduct this surgery. Advocate Mihir Desai placed the professor's medical reports before the Nagpur Bench of the high court. Desai told the court that the reports of the Government Medical College Hospital Nagpur had been shown to Professor Saibaba's doctors in Hyderabad who said he needed urgent treatment and therapy. They needed to physically examine him to decide on the course of treatment. But Judges P N Deshmukh and Rohit B Deo relied on the reply filed by the prison authorities in which they said Professor Saibaba was getting adequate treatment. Doctors treated him regularly and had found his condition satisfactory. They also told the court that Professor Saibaba had refused to go to the hospital many times. Even on merits, the court rejected his bail application, pointing out that he had been convicted of the serious crime of aiding Maoists. IMAGE: Professor G N Sai Baba with his wife Vasantha Kumari. 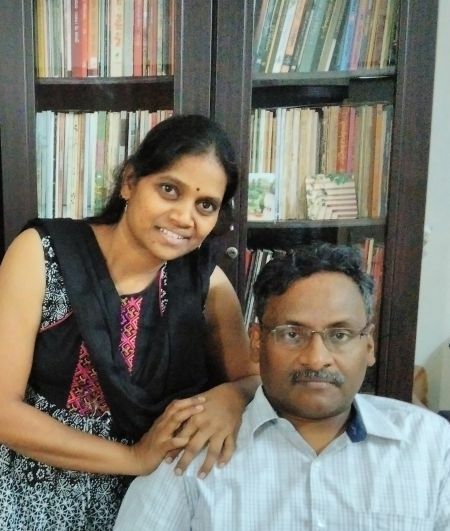 Vasantha Kumari, Professor Saibaba's wife, told Rediff.com that they would appeal against the order in the Supreme Court. The bail application had been filed last year and had taken 14 months to be heard, she said. Meanwhile, Surendra Gadling, Professor Saibaba's lawyer, was himself arrested last June by the Pune police, in connection with the violence on January 1, 2018 at Bhima Koregaon. "Every time before the court hearing, the police perform a big drama as if they are seriously attempting to provide him treatment. Then they tell the court there is no threat to his life," Vasantha Kumari says. "But in fact, his left hand has stopped working." "Rejection of bail means they want him to die," she says, breaking down. Vasantha, who lives in New Delhi, last met her husband on February 19. "The meeting lasts just 20 minutes and the guards insist that we speak either in English or Hindi. I am not fluent in either, so the 20 minutes go in just trying to frame sentences. It took me almost half an hour to convince them to let me converse in my mother tongue Telugu." "For this reason I have not been able to meet him oftener. I also have to look after my mother-in-law and daughter," she says. "Those convicted of mass murder such as Babu Bajrangi and Maya Kodnani have been granted bail on medical grounds," says Vasantha. "My husband's only crime was to fight for the rights of tribals and raise his voice against the government's treatment of them." "On two occasions after his arrest," she adds, "he refused to sign on a blank paper though the police told him doing so would get him his freedom." The US Coalition to Free Prof Saibaba has decided to hold a protest in London and outside the Indian consulate in New York on April 6. Last June, United Nations human rights experts urged the government to release Professor Saibaba in a statement issued by the UN high commissioner for human rights.